TEUM ---> It is under a insane Momentum and as we can see in weekly chart above, a break above $1.76 could boost it easily to $3.00´s! Long and strong. LENS ---> After shares rising more than 17% on high volume today, this bottom player looks ready for higher prices! With technical indicators giving strong Buy Signals, a break above its 20 Moving Average could give us a nice squeeze until its 200 Moving Average as initial target. Worth watch. MBII ---> Steady action today on volume! Technical indicators are showing that buyers are in control, which the upside movement should continue. We could get here a nice trade until its 200 Moving Average. RSYS ---> Very interesting relative strength today! I´ll try a trade with a Buy on the break above its 50 Moving Average and target at $1.23 as initial target. 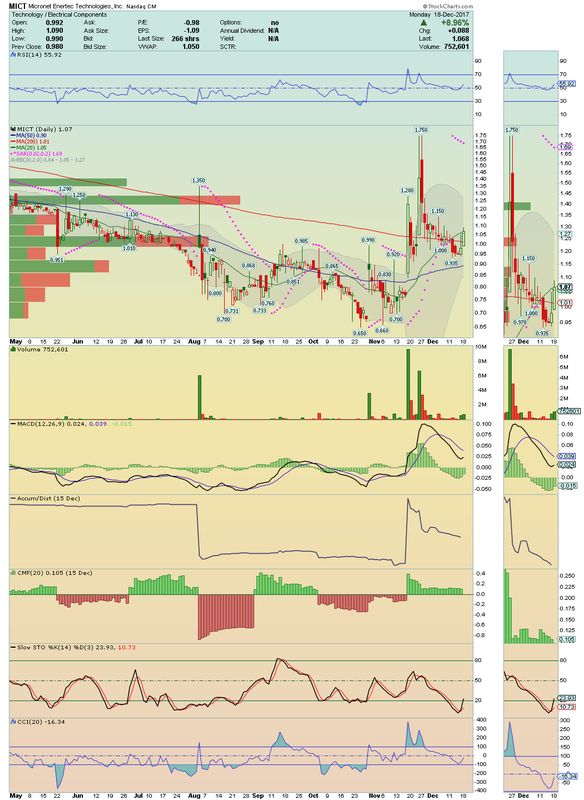 AIRI ---> Nice action today under strong volume and Buying Pressure! Watching closely for the Breakout ahead! Could be intense. MICT ---> Broke above its 200 and 20 Moving Averages with decent volume! I´ll watching for a test to $1.15 level. 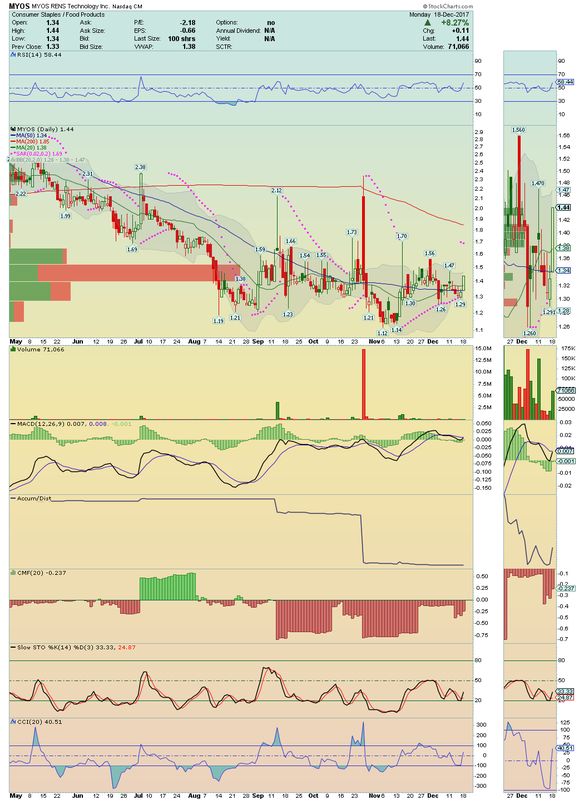 A break on volume could boost it to $1.50 area easily. Stay tuned. AQMS ---> We have here a great Bottom and a Low Float Stock with about 14% of Short Float. 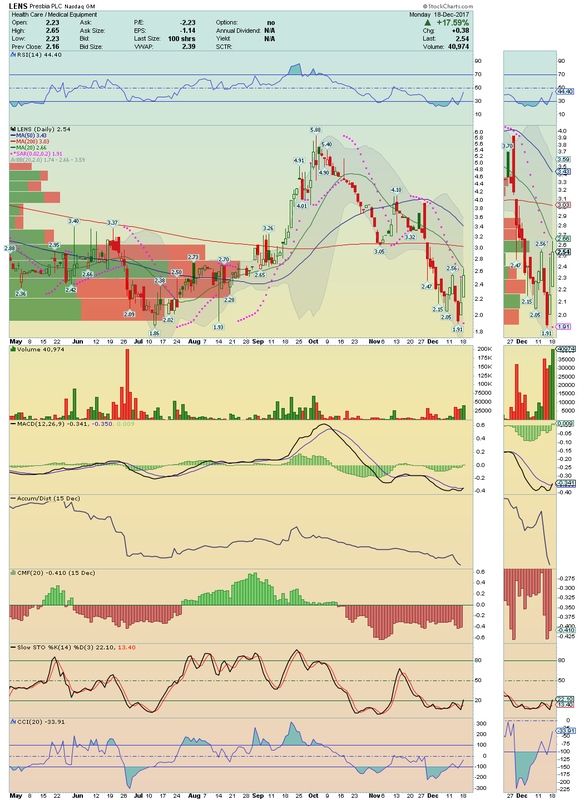 It made a very nice trade session with high volume and its technical indicators are giving positive divergences. We may have here a runner candidate and its 20 Moving Average could be the next target! On radar. 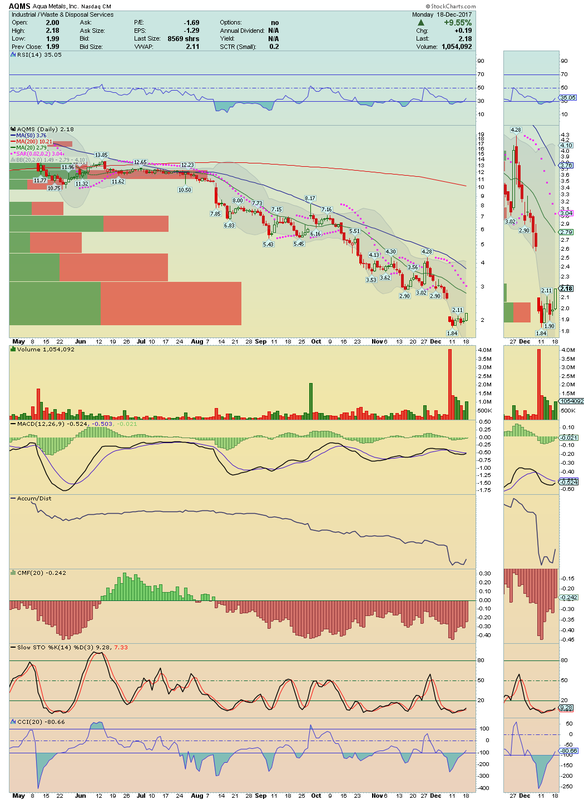 MYOS ---> Another Low Float Stock with high Short Interest that came up on my screen with high relative strength. A big squeeze could happen over $1.56.